Sohini Mishra, an Indian Idol contestant from Cuttack, has gained popularity after her stint on the show. Classically trained, Sohini’s family had originally wanted her to pursue another profession and keep singing as a pastime. “But the show changed my life. Early in my career, I used to be ignored by the industry. But that’s a thing of the past and people recognize me now,” she says. Antara Chakraborty, feels that the industry offers enough scope to newbies to perform and be recognized. “I started singing on stage when I was only four years old, but I had never dreamt I would become a full-time singer. 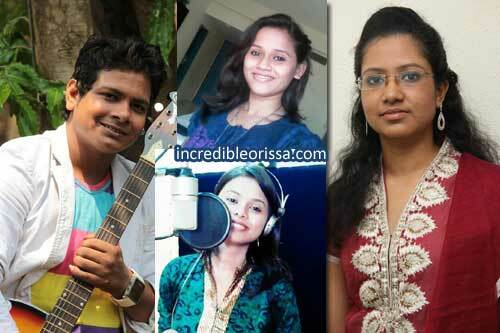 Then I sang for my first Odia album and realised that my future lies here,” Antara says. Singing with Udit Narayan for the film Mun Diwana To Pain is one of the high points in her fledgling career. “He had even offered me work in some new projects,” adds Antara, who plans to relocate to Mumbai after finishing her post-graduation.